You can achieve faster performance with the new HTTP/2 protocol which requires HTTPS due to browser support. And yes, Kinsta supports HTTP/2 on all servers. 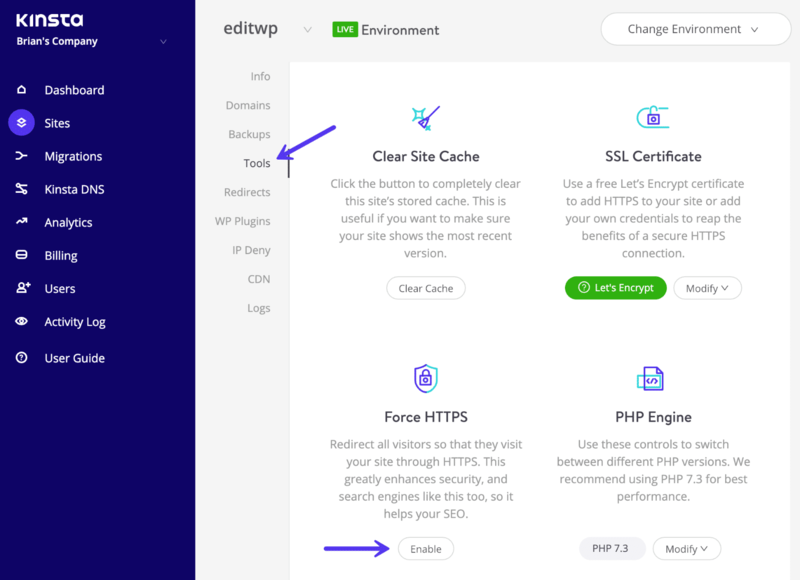 There are a couple different options you have when choosing to redirect HTTP to HTTPS in WordPress. 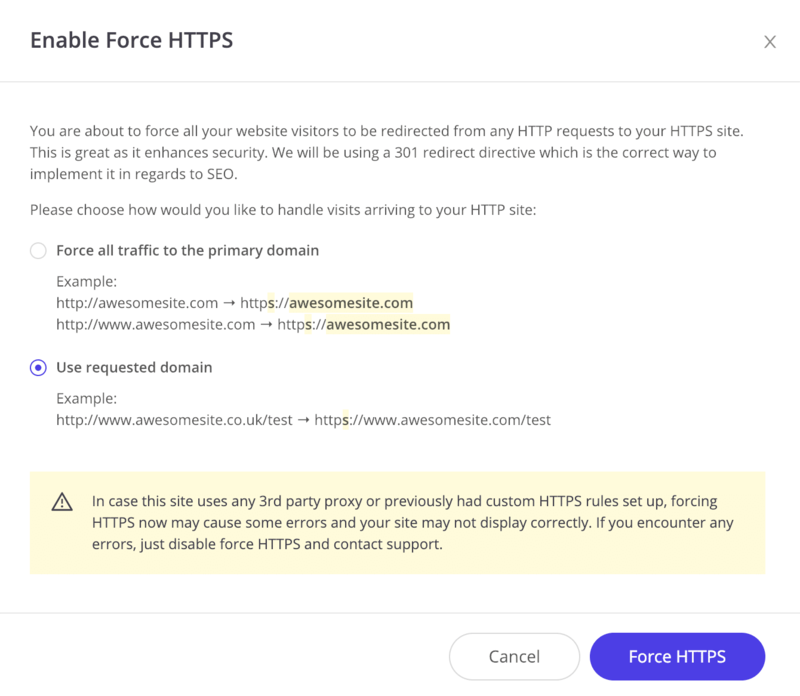 If you’re a Kinsta client, the easiest way is to use our force HTTPS tool (recommended). Another way is to do it at the server level, or you can even do it with a free WordPress plugin. Note: Our examples all include a 301 redirect directive which is the correct way to implement it in regards to SEO. Using a different type of redirect could harm your rankings. No need to install a plugin or reach out to our support team, you can easily redirect all of your HTTP traffic to HTTPS on MyKinsta. Simply log in to the MyKinsta dashboard, browse to your site, and click on “Tools.” Next, click the “Enable” button under Force HTTPS. Note that if you use 3rd party proxies or if you had custom HTTPS rules set up forcing HTTPS may lead to some errors. 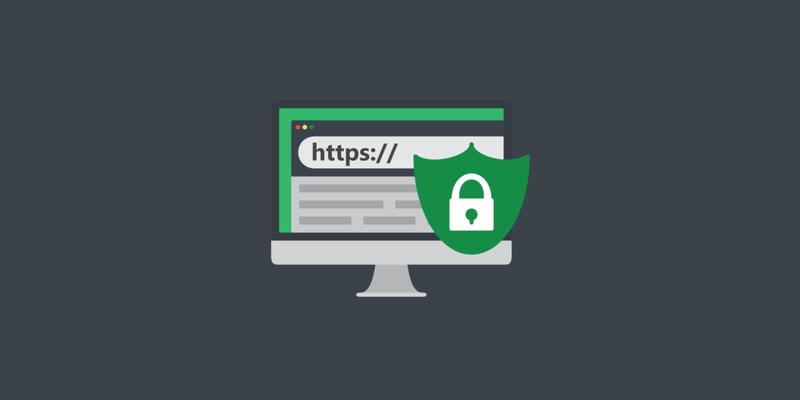 If you notice any issues simply disable HTTPS forcing and contact support.